In this episode we sit down with one of the best elk hunters to ever carry stick bow. 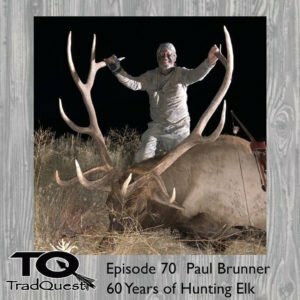 Paul Brunner has been hunting them since he was 14, and now at the age of 75 he is still hitting it hard. Paul took 3 bulls this year alone and 2 last year. ?Paul doesn’t just shoot the first bull he sees either, he holds out for a mature bull and has been for a long time. We talk elk tactics, bows and arrows, changes in hunter numbers and technology, snap shooting etc……ENJOY!! !